Let us help you to enjoy having a "dining experience"by choosing that perfect wine pairing! 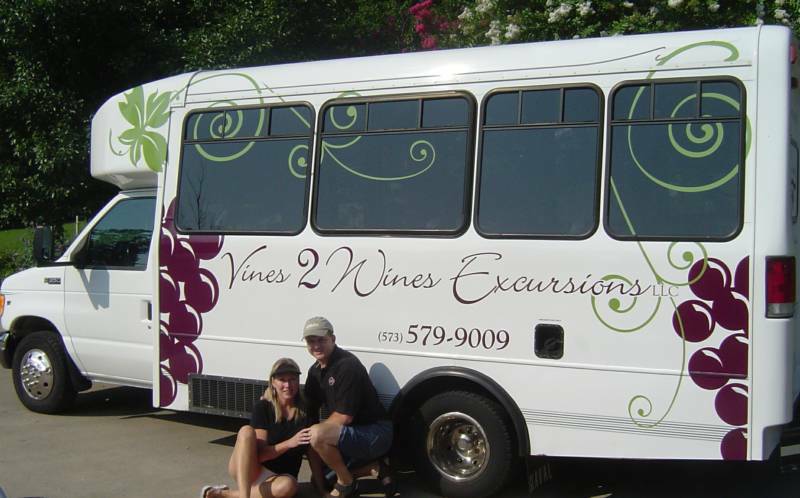 We can travel to all Missouri Wineries. So get your friends together for a customized excursion or join one of our planned events and enjoy a day relaxing,sampling fine wine and food. Leave the driving to one of our Wine Educated, Experienced Drivers. Each of our buses seat 13 guests and SUV's seat 4 Guests. Plenty of room for coolers for food and beverages to enjoy as you travel! Ask About Purchasing Clean Crafted Organic Wines!